Designer Petri Vainio created the Juhla lamp to cheer up people’s everyday life. 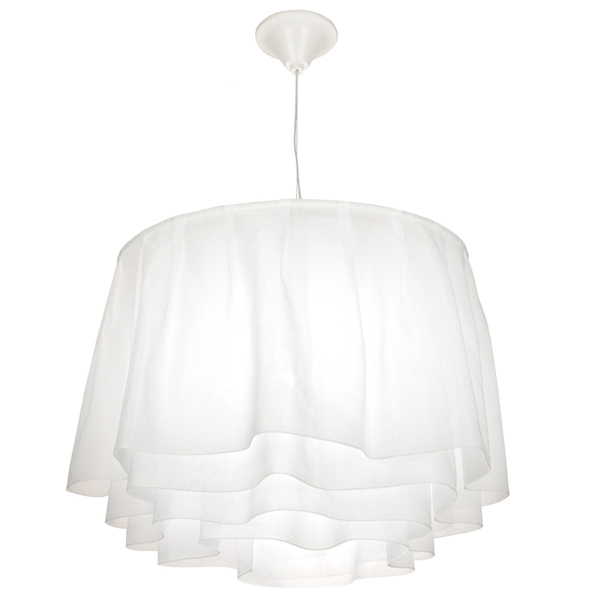 The pendant looks like the hem of a skirt and reminds of the Art Nouveau era when it was common to use textile in the lamp pendants. 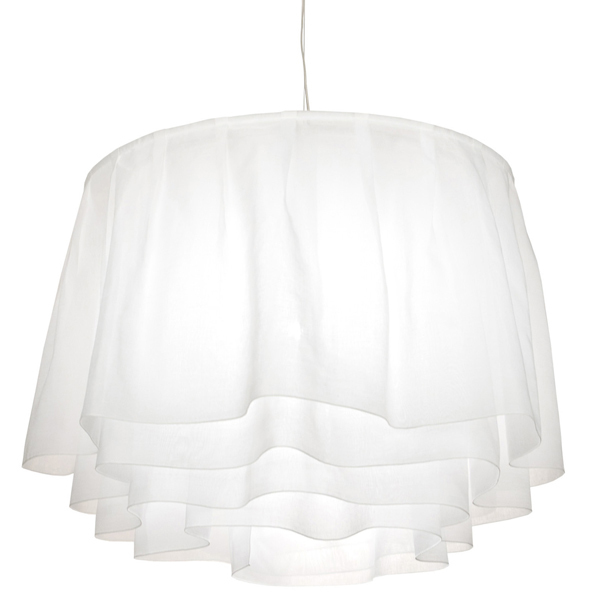 The pleated fire-safe fabric flows lively, which makes every Juhla lamp unique. The lamp with a romantic Nordic spirit fits well in every kind of spaces. 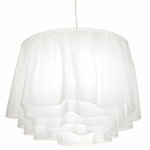 The fabric shade can be washed by hand or machine in mild temperature without spinning. Iron until dry with low heat suitable for polyester.